English Teaching Zone: Are you a middle, right or left-brain teacher? Are you a middle, right or left-brain teacher? Today we are going to see in more detail the characteristics of a right, left and middle-brain teacher. 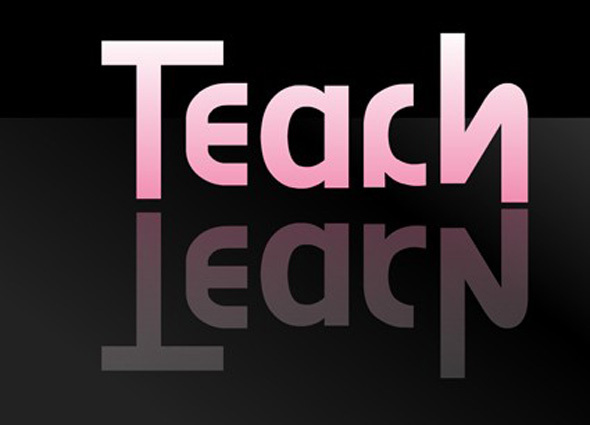 Read the text below and it will help you learn about your teaching style preference. Teachers with left-brain strengths generally prefer to teach using lecture and discussion. To incorporate sequence, they put outlines on the board or overhead, and they like to adhere to prepared time schedules. They give problems to the students to solve independently. Teachers with left-brain preferences assign more research and writing than their right-brain peers. A reasonably quiet, structured classroom is preferred. The classroom tends to be clean, with items in their place. Left-brain students prefer to work alone. They like to read independently and incorporate research into their papers. They favor a quiet classroom without a lot of distraction. Write an outline of the lesson on the board. Students with left-brain strengths appreciate sequence. Go ahead and lecture! These students love to listen to an expert and take notes. Discuss vocabulary words. Students have a large vocabulary and are interested in words. Make d puzzle on the Solar System. Discuss the big concepts involved in the creation of the universe, how the solar system was formed, and so on. Left-brain students love to think about and discuss abstract concepts. Assign individual assignments so students may work alone. Ask the students to write a research paper on the solar system that includes both detail and conceptual analysis. Keep the room relatively quiet and orderly. Many students with left-brain strengths prefer not to hear other conversations when working on a stimulating project. Teachers with right-brain strengths generally prefer to use hands-on activities over a lecture format. In concert with the right-brain preference of seeing the whole picture, these teachers incorporate more art, manipulatives, visuals, and music into their lessons. They tend to embrace Howard Gardner's multiple intelligences. They like to assign more group projects and activities, and prefer a busy, active, noisy classroom environment. The classroom of a strong right-brain teacher will typically have materials and books scattered all over. Right-brain students prefer to work in groups. They like to do art projects, industrial arts electives in middle school, and graphic design. They would prefer to design and make a mobile rather than write "another tedious term paper." This student has difficulty processing information that is presented verbally. When the teacher lectures, or talks in compound, complex sentences, he may get anxious and overwhelmed and shut down. The teacher's words run together, and the meaning becomes garbled. Right-brain activities such as painting and drawing are activities that he can do easily and with pride. During the lecture, either write the main points on the board or pass out a study guide outline that students can fill in as you present orally. These visual clues will help students focus even though you are lecturing. Use the overhead, the white board, or the chalkboard frequently. Since the students are apt to miss the points discussed verbally, the visual pointers will help the students "see" and comprehend the points. Have some time for group activities during the week of the solar system study. Right-brain students enjoy the company of others. Let the students create a project (such as a poster, a mobile, a diorama, or paper mache planets of the solar system) in lieu of writing a paper. Students often have excellent eye-hand coordination. Play music, such as the theme from 2001: A Space Odyssey. Discuss how space might feel to an astronaut. Students with right-brain strengths are intuitive and like to get in touch with their feelings during the day. Bring in charts and maps of the universe and let the students find the Milky Way. Maps and graphs make use of the students' strong right-brain visual-spatial skills. Students with strong left- or right-brain tendencies much prefer to be taught to their neurological strengths. Although they can learn by different methods, they get most excited and involved when they can learn and do assignments in their area of strength. The good news is that we can all strengthen the weaker parts of our brains. Researchers tell us that our brains are always searching for new meanings and adding new neural circuits to make connections. Why not incorporate a new "neurological teaching method" into your classes ? If you are a left-brain teacher, try adding at least one right-brain methodology (overheads, videos, music, role playing, dance, or group projects) into your lessons. If you are a right-brain teacher, try adding more direct teaching, lecturing more often, or assigning more individual and/or research-oriented projects. If you are a middle-brain teacher, select and incorporate something new from either area. I also recommend giving your students a variety of assignments to choose from each week. For example, let's say you plan to assign a book report. Let each student choose from one of the following: write the report using an outline; present the report from an outline; draw and color a major scene from the book; design and create a mobile, poster, or diorama; dance a scene from the book; or create a different ending to the book. It is fascinating to watch students gravitate towards their neurological strengths when given a choice of assignments. Those with moderate to strong right-brain strengths will choose to draw, act, or create. Those with the left-brain preference will write or speak. My collection of Happy New Year messages.